At Columbia College Chicago, young creatives shape their talent through diverse and mission-driven classes and camps that provide the opportunity to dip into topics such as music, theatre, fashion, social media, design, visual arts, dance, filmmaking, and many others. All weekly classes at Sherwood Community Music School are taught by instructors with deep experience in teaching the arts. Absolutely no application or audition is required to register, and everyone is welcome to participate. 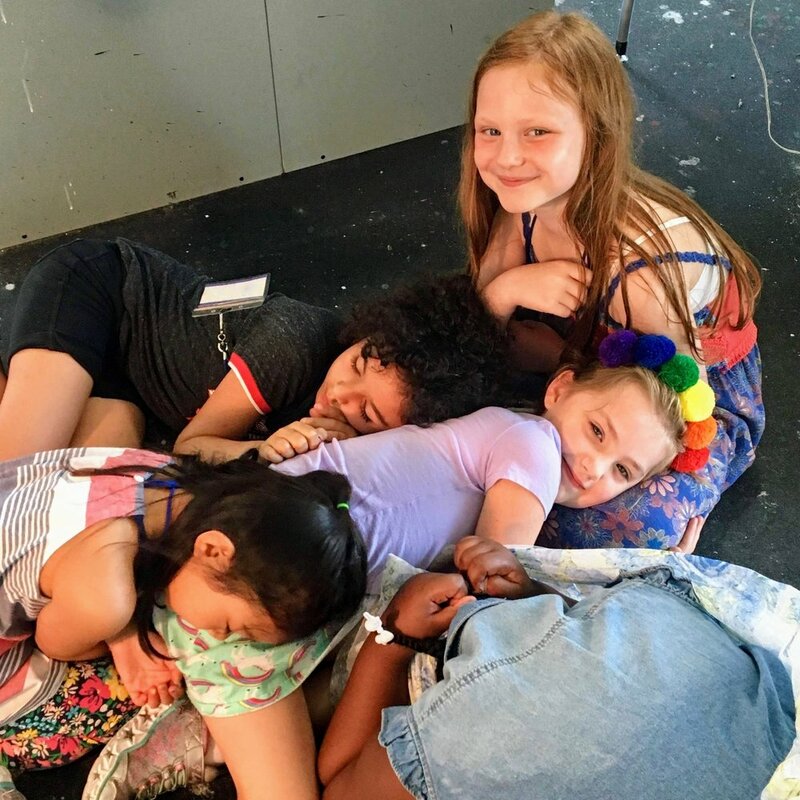 The Summer Arts and Media Camp, offered at Columbia College Chicago’s campus in the South Loop, is a set of unique full-day urban camp program for young creatives. Each two-week camp features experienced teachers and counselors, small class-sizes, guest workshops, and access to Columbia’s state-of-the-art facilities. The first session of the Summer Arts and Media Camp begins on July 8, 2019. Offered at Sherwood Community Music School on Columbia College Chicago’s campus, The Suzuki Summer String Camp, now in its tenth year, offers fun and innovative classes that will keep young musicians motivated and engaged during the summer. The program runs June 24 through 28, 2019. Offered at Sherwood Community Music School, our Kids Piano Lab program is an ideal way to try out the piano in a group setting and build the foundation for continued individual study in piano or other instruments. Students will acquire a familiarity with the keyboard, learn beginning music reading skills, and play simple melodies. Classes are taught in our digital keyboard lab. Kids Piano Lab level 1 begins every 8 weeks for new students. Once a student enrolls in the Kids Piano Lab program, they will typically continue with that same group of students, at the same day and time every term, until the student becomes advanced to the point of moving into private instruction. Kids Piano Lab classes are 8 weeks long for introductory classes, and 16 weeks long for all subsequent continuing classes. By singing with a group, students will learn how to develop their stage presence and be introduced to vocal technique through a variety of popular songs. Through interactive games, students will learn basic rhythm and pitch. At the end of the term, children have the opportunity to participate at an end-of-session performance for friends and family. Are you interested in playing for family and friends or becoming the next rock star? Kids Guitar class is a great way to get introduced to the guitar! Learn chords, strumming patterns, and melodic lines as well as how to play with others in a fun, relaxed setting. A new Kids Guitar program begins every 8 weeks for new students. Once a student enrolls in the Kids Guitar program, they will typically continue with that same group of students, at the same day and time every term, until either the student become advanced to the point of moving into private instruction, enrollment in the class dwindles down below the minimum required to run the class, or until the student chooses to drop out of the program altogether. Kids Guitar classes are 8 weeks long for introductory classes, and 16 weeks long for all subsequent continuing classes. A guitar is required for all guitar classes. We do not rent guitars, however, your instructor can help recommend one for you. All of our dance classes were developed in collaboration with Columbia College Chicago's Dance Center, and offered in their state-of-the-art studios, located at 1306 South Michigan Avenue. In this class, children will develop a foundation of ballet technique in a fun, supportive environment that allows them to create, improvise, collaborate with their peers. Through a combination of structured skill, movement games and group activities, students will be introduced to traditional ballet dance and choreography. Students will have opportunities to develop their own original ballet-influenced coreography, which will be showcased at the end of the session. Comfortable, close fitting pants and top and ballet shoes are required for participation in this class. Leotard and tights are optional. In this class, students learn the fundamental movement techniques of an eclectic collection of dance forms that fall under the umbrella term "Hip Hop." Hip Hop Dance celebrates creativity, individuality, and confidence through self-expression. This may include the basic movements of breaking, popping, locking, tutting, and house as well as other vernacular dances. Students learn movement alongside basic histories of the dances, as well as values that are central to hip hop dance forms. We practice a combination of choreographed and freestyle exercises that are showcased at an end-of-term performance for family and friends.